Another beautiful home by Patrick Construction. This 3 bedroom/ 2 bath home sits looking at a gorgeous year round mountain view. This is your chance to get a new home with all the extras you could want. All bedrooms and laundry room are on the main level. The basement is unfinished and stubbed for a third bath. Patrick Construction is known for green building so energy efficiency can be seen throughout the entire home. Finishing touches will be going in soon so don't wait until it is finished. Close to Blairsville, Blue Ridge, Lake Nottely, and Murphy, NC. 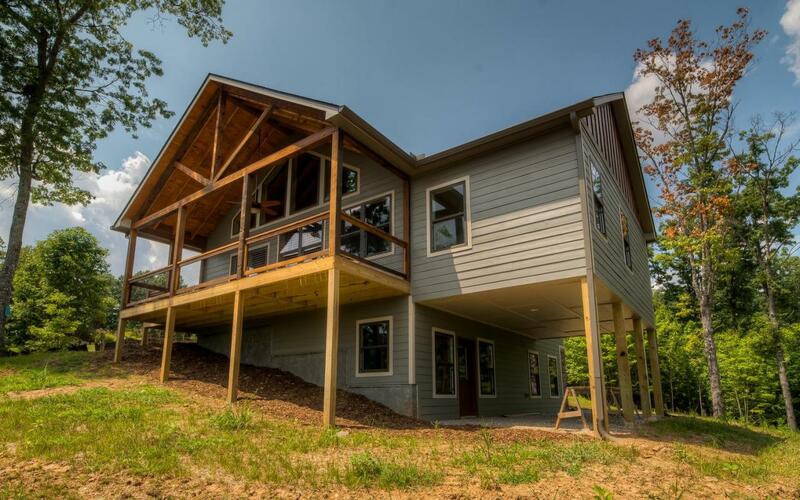 Beautiful decks to enjoy your view, spray foam insulation to help with utility bills, all roads are paved, hardy board siding for low maintenance, large great room with a wall of windows to enjoy your view. Smart home features have been added which include security camera system, door lock, and light switches.